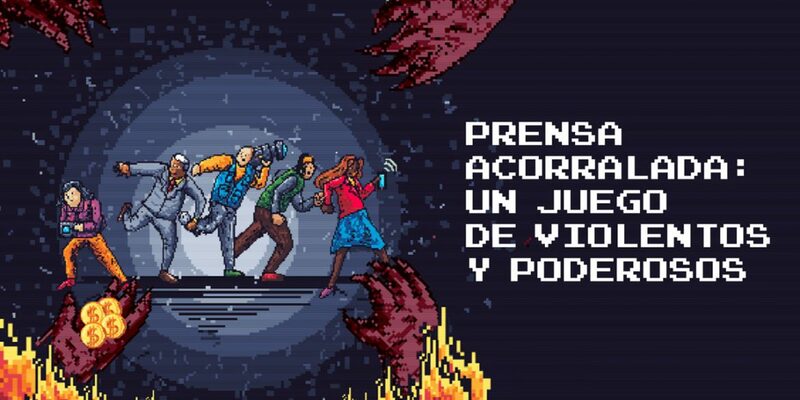 The year 2018 was the most violent for journalism in the 12-year history of Colombia’s press freedom foundation, the FLIP said in its annual report. According to the FLIP, which has been defending press freedom and denouncing violations since 2006, more than 477 attacks on the freedom of press took place last year, a 57% increase compared to 2017 and a 120% increase compared to 2016. In 2018, FLIP documented a total of 477 violations of press freedom, with more than 600 victims nationwide. This is the highest number of attacks recorded by FLIP in a single year. Death threats have become by far the most common form of aggression, the FLIP said after registering 256 cases that left 200 victims last year. This rise of this crime became so alarming that 19 international organizations and embassies wrote the Colombian government to take action, but to no avail. The second most common form of violations of the freedom of press was harassment that was suffered by 50 journalists in 2018. Colombia’s state officials, particularly civilian officials, were by far the most prominent aggressors in the registered cases of attacks on press freedom. In 180 cases, however, no perpetrator could not be established. The FLIP bashed Colombia’s authorities for their chronic failure to effectively investigate violations of press freedom, and in particular the homicides of journalists. Since 1977, 158 journalists have been killed in Colombia. In 79% of these homicide cases no advance was ever made. Only in 28 cases the assassins were convicted, in four cases the people who ordered the killings were convicted and only in one case both the assassins and the masterminds were convicted. The statute of limitations of the murders of three journalists that took place in 1998 prescribed last year.